How Many Times Did Spurs Win the Championships? The San Antonio Spurs completed their NBA Finals victory against the Miami Heat on Sunday, marking the team's fifth championship since the beginning of the Tim Duncan era. While we all gush about rings on thumbs and what this all means for the legacies of Duncan, Gregg Popovich and everyone else, let's take a look back at the five squads that got us to this point. It's not easy to remember now, but the Spurs weren't always the Spurs we've come to regard with a mixture of respect, gratitude and general awe. Twenty years ago, this was still a franchise without a title, one of those classic teams that couldn't quite get over the hump. Then, of course, came the 1997 NBA Draft and the arrival of Duncan. 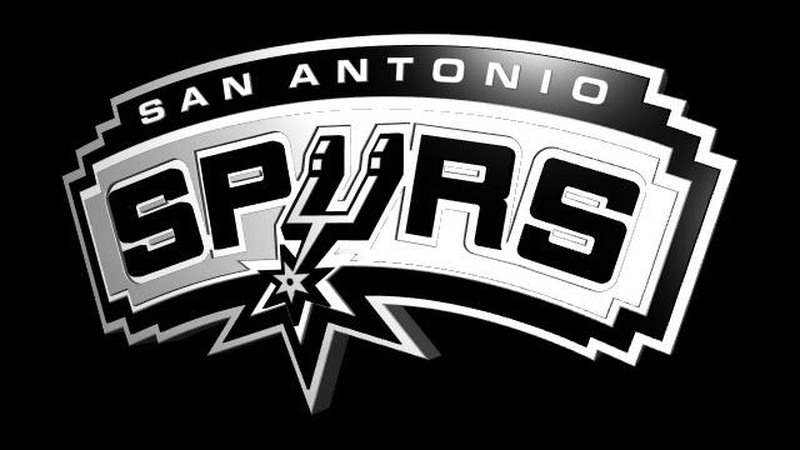 After a year of straightening the bearings, winning 56 games and challenging the Utah Jazz in the West semifinals, the Spurs officially took over the league during the lockout-shortened 1998-99 season. With a lineup led by Duncan, an aging David Robinson and an impressive cache of role players -- Sean Elliott, Avery Johnson, Mario Elie, etc. -- the Spurs captured their first championship by beating the eighth-seeded New York Knicks in five games. And if you think the Spurs beat up Miami this year, check out what the team did 15 years ago. First round? Beat the Timberwolves in five. Second round? Swept Shaq and the Lakers. West Finals? How about another sweep, this time against Portland. And then came the Finals, where the Knicks were dispatched in five. Duncan won the Finals MVP, the third-youngest player to do so before Kawhi Leonard this year. After that first title, the Spurs struggled in the postseason for a few years. The reinforcements were coming, however. In 2001, the team drafted French point guard Tony Parker in the first round, then a year later, Argentinian shooting guard Emmanuel Ginobili got snagged with a flyer deep into the second round. With those two slowly emerging to fill out the roster and Robinson announcing his intention to retire at the end of the season, 2002-03 loomed as a special opportunity for the team. Following through, the Spurs won 60 games in the regular season and cruised through the playoffs, winning all four series in six games apiece. Duncan won NBA MVP -- his second straight -- during the regular season, then delivered one of the greatest postseasons in history: 24 games, 24.7 points per game, 15.7 rebounds per game, 5.3 assists per game, 3.3 blocks per game. Seriously, if someone needs to be convinced that Duncan is one of the greatest athletes to ever play, go show them highlights of the Finals against New Jersey. MASTERCLASS. The arrival of the "Big Three" to San Antonio. After a couple years to mature and improve, Parker and Ginobili emerged as legitimate stars for the Spurs during this season. Finally armed with some serious weapons to back Duncan, surely the Spurs had no issues getting that third title, right? Nope. Instead, Parker and Ginobili were thrown into the fire against the Detroit Pistons in one of the most interesting NBA series of the past 20 years. Following four straight blowouts to begin the 2005 Finals, Game 5 gave us one of the most memorable performances in recent history: Robert Horry's three-point barrage, culminating with the game-winner in the final seconds to put San Antonio up, 3-2. San Antonio would eventually need seven games to top Detroit, with Duncan becoming the fourth player in league history to win a third Finals MVP award. That still hasn't changed, as Michael Jordan, Shaquille O'Neal and Magic Johnson are the only others with three-plus trophies. The Spurs and LeBron James have developed quite the history with one another, starting seven years ago when James carried the Cleveland Cavaliers to the Finals. San Antonio was in a different class at this point, though, and pummeled the Cavs during a four-game sweep. This championship also stands as the first time San Antonio won a title without Duncan winning Finals MVP. Instead, that honor went to Parker, who dominated the series by averaging 24.4 points per game on 57 percent shooting. Duncan wasn't a slouch, either, going for 18.3 points and 11.5 rebounds per contest. And more importantly, the Spurs' vaunted defense shut down LeBron. While the 2014 edition of the team is powered by a mind-numbingly efficient offense, San Antonio's past teams were often defined by defense. In this series, James averaged 23-7-7, but shot just 36 percent from the field and 20 percent behind the arc. And now we're here. Popovich, Duncan, Parker and Ginobili are still around, but the rest of the formula has changed completely. The current Spurs look nothing like the past championship teams, which may be a bigger testament to the greatness of the core figures than anything else. Redeeming the franchise after an incredible disappointment the previous year, San Antonio came out in this series and played some of the best basketball we've ever seen. Adam Silver's post-game comments on the Spurs showing the beauty of basketball weren't just some off-hand thoughts. More likely, a lot of people came away from this series agreeing with that sentiment. This championship also signaled the emergence of Leonard, the 22-year-old forward being tasked with continuing the standard of excellence established over so many. And if these games showed us anything, it's that an entire league should be ready to deal with the Spurs' newest star. As for the rest of the core, guys like Popovich, Duncan and Ginobili probably aren't done yet, which really means one thing: we best be prepared to have the same discussion next year. As long as those guys are around and Leonard keeps getting better, the Spurs will probably do what they've always done: win. Server responsed at: 04/19/2019 11:20 a.m.